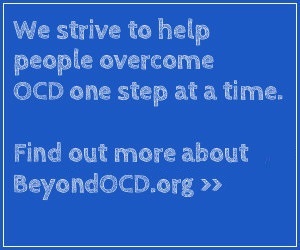 Many mental health professionals lack the proper training to diagnose and treat OCD. Only a qualified cognitive behavior therapist can provide effective, appropriate CBT. Asking questions of a clinician can help determine whether he or she is competent to administer CBT. Your relationship with your therapist is very important. Discussing your fears and behaviors may be very uncomfortable, and you must be willing to take on ERP exercises he or she prescribes. Finding someone who is right for you is critical to your success in overcoming OCD. Are you trained to use cognitive behavior therapy to treat OCD? Where did you obtain your training? How many clients with OCD have you successfully treated? Are you ever willing to leave the office for treatment sessions? Will you conduct therapy sessions by telephone or online if necessary? What techniques do you use to treat this specific form of OCD? (You want them to mention CBT involving Exposure and Response Prevention, or ERP).